Stepping into Neverwinter is somewhat like stepping into a time machine, with the destination set for 2004. Yes, Neverwinter feels like a cheap knock-off of World of Warcraft; yes, Neverwinter is pretty much a by-the-numbers RPG; and no, Neverwinter doesn't really offer anything that hasn't already been done before... and done better. But on the plus side, it's free. And unfortunately, the fact that it costs nothing is just about the only compliment I can give this game. From the very beginning, Neverwinter feels like it was only half-finished. The graphics hearken back to the original release of World of Warcraft; voice acting is more wooden than the City Guards and Legionnaires in The Elder Scrolls IV: Oblivion; the music is... boring, definitely not a soundtrack I would ever want to listen to outside of the game. The content may be okay—even if it is the most generic amalgam of other, better RPGs—but the package in which that content is delivered is just not very pretty. Every step of the way, Neverwinter wants to be something else. Upon first entering the city of Neverwinter, to collect your first quest reward, you are greeted by Nick Fury and a reptile. The reptile looks suspiciously like an Argonian, and the first thing she mentions? "Dragonborn." Beginning quests are unusually dull, even by MMORPG standards, with most of the opening tutorial taking place on a casual stroll through a field. Dialogue is dire, combat is boring (hold down the left or right trigger while targeting an enemy), and entertainment is lacking. If the game wasn't already unimpressive enough, then there is the issue of stability. 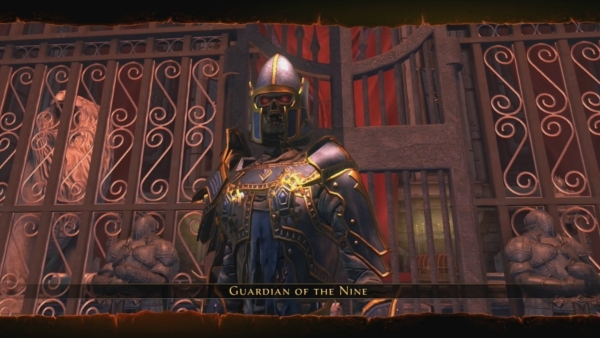 Even stepping foot inside the Protector's Realm, or Dome, or whatever it's called (the main social hub in Neverwinter city) slows the game's performance down to a crawl. It's not like the graphics are particularly taxing on the system (indeed, textures pop in and out at very modest distances), nor are there that many NPCs doing different tasks. Even when I first played the game, (right when it came out, when not that many people were online), the Protector's Realm was painfully slow. Now, it's pretty much just an area where players try to hawk overpriced enchanted weaponry to new players. As for content... well, do you remember that basically-an-Argonian reptile woman I mentioned earlier? She's most likely the second person in the city of Neverwinter that you will talk to. If you follow her quest, it takes you straight to a DLC pay-wall. Right from the start of the game, they want you to buy expansion content and, frankly, I just don't think paying for anything in this game is worth it. I think the best way I can describe Quantum Break is that it's a game that I never felt compelled to come back to. I never got invested in the experience; when I sat down to play I always enjoyed myself, but I never found any part of Quantum Break to be all that satisfying. It's obvious that some masterful developers put this game together but the game lacks the intangible grab that truly great games have. Quantum Break for me ends up being a middle of the road third-person action game with some pretty spectacular ideas with shaky execution.